Want to talk to someone regarding travel insurance covering your heart condition? A specialist insurer that covers a variety of medical conditions, including heart conditions. Cover for short and long term trips. Get a quote and screened online or speak to an expert, call 01392 287 419 (Mon-Fri 9am-5.30pm, Sat 9am-4pm). 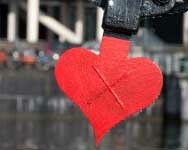 Heart disease is one of the UK's biggest killers. It affects millions of people each year. But one of the hidden issues surrounding heart disease and other health conditions is the fact that many travellers with heart disease are charged considerably more than others when it comes to travel insurance. There are numerous different options to help you choose the right pre-existing travel insurance and the best medical travel cover available in the market today. The good thing about travelling abroad when you are fully insured, but perhaps not in the best of health, is that you can relax and unwind while away without having to worry about issues such as whether or not you are covered should something should happen. What are the requirements for obtaining heart travel insurance? The price you pay for heart travel insurance with medical conditions can vary widely depending on the specific type of illness or circumstances. Where can I purchase travel insurance for heart travel insurance? Does heart insurance cover all types of cardiovascular condition and complications? Abnormal heart rhythms, Angina, Atrial Fibrillation, Cardiac arrest, Cardiomyopathy, Cardiovascular disease, Congenital heart disease, Diabetes, Heart attack, Heart failure, Heart valve disease, High blood pressure and High Cholesterol.